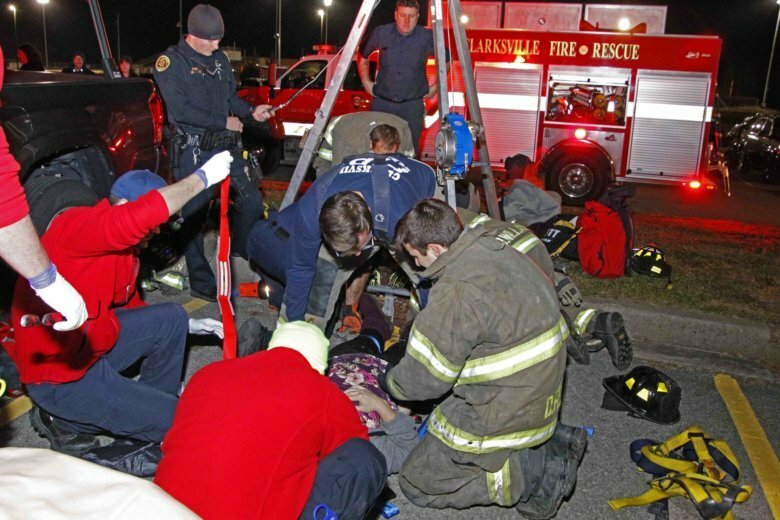 CLARKSVILLE, Tenn. (AP) — Police in Tennessee say a woman and her baby fell 20 feet (6 meters) into a storm drain and were underground for more than 30 minutes. Clarksville police tell news outlets the two were rescued Thursday night. Police spokesman Jim Knoll says the woman was walking through a parking lot carrying her baby when the storm grate she went across collapsed. Police say a passerby heard the baby crying, but couldn’t see them and called 911. A helicopter took the woman to a hospital, but she was conscious and had no visible signs of serious injury. An ambulance took the baby, who had a cut but didn’t appear to have life-threatening injuries. The drain’s basin was dry, and police aren’t sure why the grate gave way.